Impact LX61, 61-Key MIDI Keyboard from Nektar. 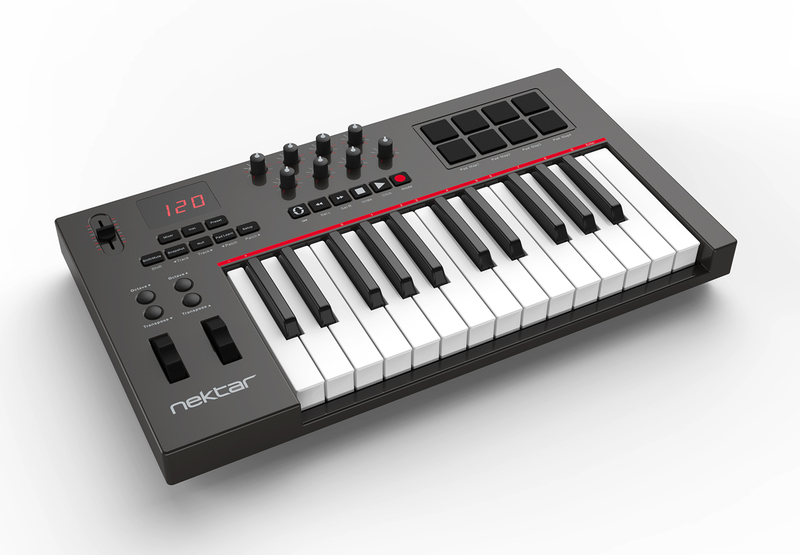 Californian Nektar adds to its Impact Series two new 25 and 61-key MIDI keyboard controllers, both will be introduced tomorrow at Musikmesse 2014. The Nektar Impact LX25 and LX61 complete the series which already features the LX49 launched last year. The series is more compact and affordable than the Panorama but offers a fully-featured control panel with assignable pads, knobs, a transport section and pitch bend and modulation wheels. 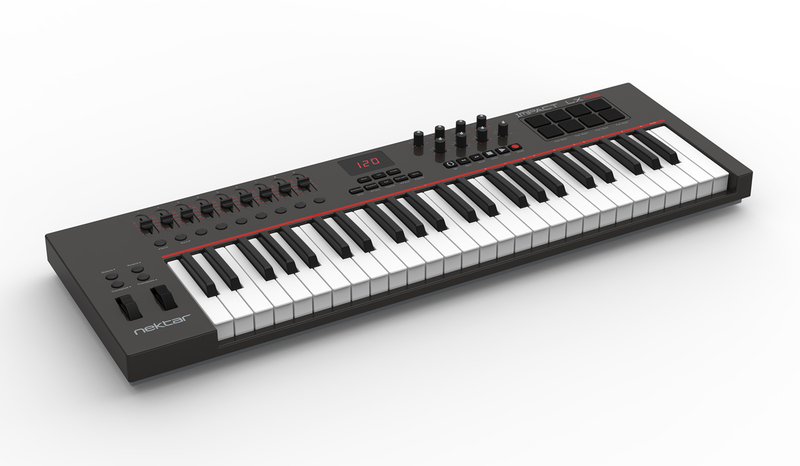 Both keyboard controllers include MIDI over USB to control your DAW on Mac and PX, and 5 presets are available to store the MIDI setup. Note that a Pad Learn function is also included so that you can assign MIDI note numbers on the fly and save these configurations in 4 additional presets. 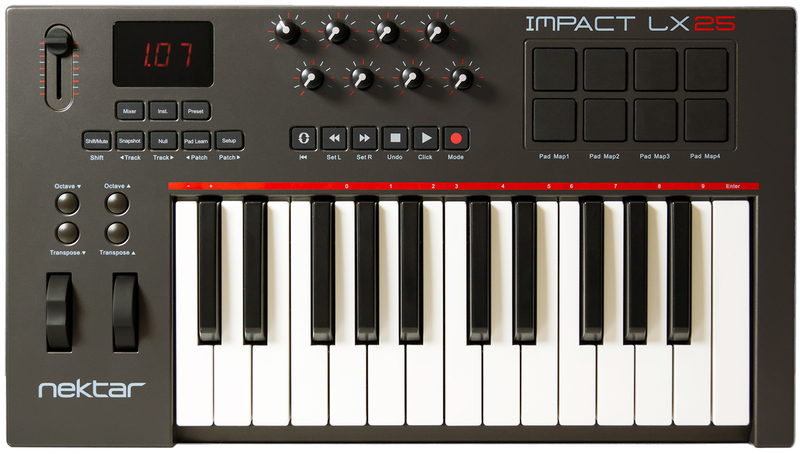 The Impact LX25 features 25 synth-type velocity-sensitive keys, one fader, 8 knobs, 8 pads, a 3-digit LCD display, and a footswitch input. Its price is 109.99€ / $129.99 / £99.99 and it will be available in May. 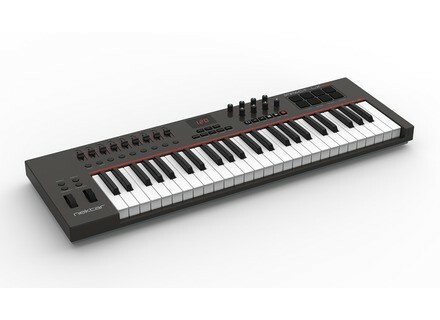 The Impact LX61, le larger in the series, offers 61 synth-type velocity-sensitive keys, 9 faders, 9 buttons, 8 knobs, a 3-digit LED display and a footswitch input. This model is announced with a price of 179.99€ / $229.99 / £159.99 and is available immediately. [Musikmesse] The Tascam UH-7000 is now official Tascam will attend Musikmesse 2014 tomorrow to officially introduce its UH-7000 audio interface and standalone mic preamp. It’s Synthstation time at Native Instruments’ Native Instruments launches the Synthstation special sale with 50% off eight virtual synths during one week only. [Musikmesse] Antelope Audio Zen Studio Antelope Audio posted a couple of pictures of Zen Studio, its new audio interface that should be introduced next Wednesday at Musikmesse 2014.